Lillie is a life-long horse lover, and the local equestrian community is an integral part of her life. As a native of the Tryon, NC area, and experienced horse farm real estate agent and broker, she has helped professional, competitive and weekend riders find their dream properties in western North Carolina and upstate South Carolina. Tryon Horse Farms offers the most distinctive equestrian properties in the foothills of the Blue Ridge Mountains. We showcase real estate properties ranging from mini-farms and professional state-of-the-art training facilities to upscale homes. 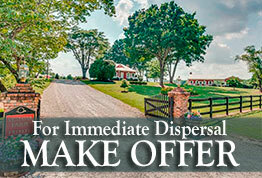 We serve clients seeking horse properties, vacation getaways, or retirement homes. Country living in the Foothills: What makes the region so special for equestrians? An area rich with horse tradition that dates back almost a century; it is a driving force of this area’s economy. There are more than 130 miles of equestrian trails, and some of the finest foxhunting in the nation. For the competitive rider you will enjoy full-service training and show facilities that offer hunter/jumper, dressage, horse trials and combined driving events; facilities include FENCE (Foothills Equestrian and Nature Center) Harmon Field and the remarkable Tryon International Equestrian Center. We are also home to several state-of-the-art equine veterinary and surgical care facilities. Held every four years, the Games are one of the biggest events for the global equestrian community, combining eight World Championships at one event. The FEI disciplines include Jumping, Dressage and Para-Equestrian Dressage, Eventing, Driving, Endurance, Vaulting and Reining. 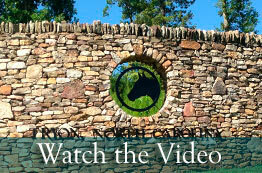 For additional information as well as upcoming show calendar, visit tryon.coth.com. The 2017 equestrian calendar and entertainment are already underway. Check www.tryon.coth.com for up-to-date details. Enjoy four restaurants, open year-round which caters to a wide variety of cravings. Roger’s Diner, a 50s-inspired motif with classics from all-day breakfast, burgers, milkshakes and to fried chicken and meatloaf, open every day. Wednesday through Sunday offers lunch and dinner at the Legends Grille, Blue Ginger Sushi & Noodles for the freshest seafood and Campagna Italian. Their website has the latest hours and more information. TIEC is open, free admission, 365 days a year! The Tryon International Equestrian Center is a 1,600 acre complex situated at the foothills of the Blue Ridge Mountains. The venue has 1,200 permanent stables, 12 arenas. Seating capacity to handle over 10,000 spectators, plus a covered arena with 5,000 seats. Its world-class cross country course that will be used for both Eventing and Driving. The complex is surrounded by hundreds of miles of equestrian trails for Endurance. Under construction, is an on-site state-of-the-art veterinary facility. These facilities, for both competitors and spectators, are above reproach. Truly a premiere equestrian and entertainment destination! The Tryon area is a destination for the whole family! The temperate climate makes this area a haven for year round outdoor activities. Waterfalls, mountains and rolling hills allow for limitless recreational pursuits; fishing, hiking, canoeing, mountain biking, and boating to name a few. For the golfer, western North Carolina has courses designed by Jack Nicklaus, Tom Fazio, Arnold Palmer and Tiger Woods. And the arts … from the Peace Center and BI-LO Performing Art Center in Greenville, SC to Asheville's Symphony Orchestra, there is no shortage of cultural opportunities. This is why so many find living in the western Carolinas so satisfying. Licensed REALTOR in North and South Carolina. Copyright© 2010-2019 Lillie Brown, Town and Country Realtors. All rights reserved.